The Bachelor Expert: Bachelor 16 Episode Five: "I didn't think you were going to keep your promise so soon." 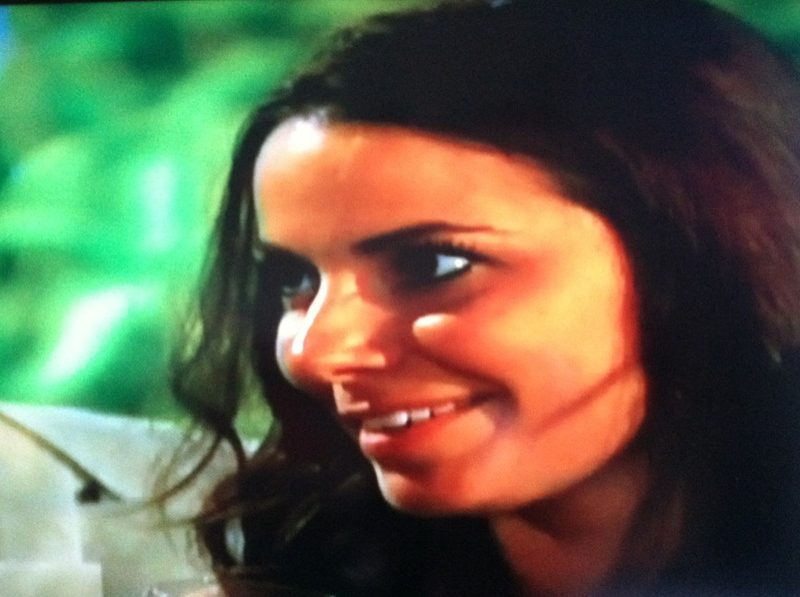 Bachelor 16 Episode Five: "I didn't think you were going to keep your promise so soon." The Bachelor arrives in Puerto Rico. The show starts off strong with Courtney wearing a “Be Nice” shirt. Nicki is sweet and hasn’t had a lot of screen time. We get to finally see more of her and Ben’s relationship. She handles the rain well and looks gorgeous without make up. Ben and Nicki have a good connection. Their conversations flow easily and aren't awkward. She receive the rose and turquoise is her color. The Group Date: Kacie B, Casey S, Courtney, Rachel, Blakeley, Jennifer, Lindzi, Emily, Jamie. The date is at a baseball diamond. Chris Harrison announces the losing team will go home. Then the winning team will continue the date. One person gets to be on both teams. Ben chooses Lindzi and Courtney is in shock. Chris Harrison announces Courtney and Blakeley are team captains. Courtney chooses Kacie, Casey and Jamie for the Red Team. Blakeley chooses Emily, Jennifer and Rachel for the Blue Team. Blakeley takes the game seriously. Then Courtney contributes a lot of one-liners. Ultimately, the red team won and the blue team fell to pieces. 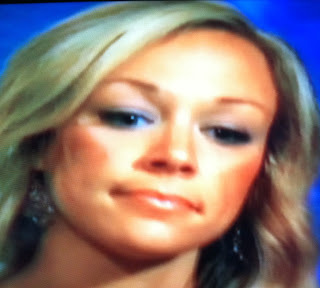 In true Bachelor fashion, a helicopter shows up and rubs salt into the blue team’s wounds. Courtney is the least receptive hugger ever. The blue team arrives at the hotel. Nicki looks like she wants to be anywhere else. Blakeley is upset about the game. Emily is mad about the fact “Courtney’s team” won. 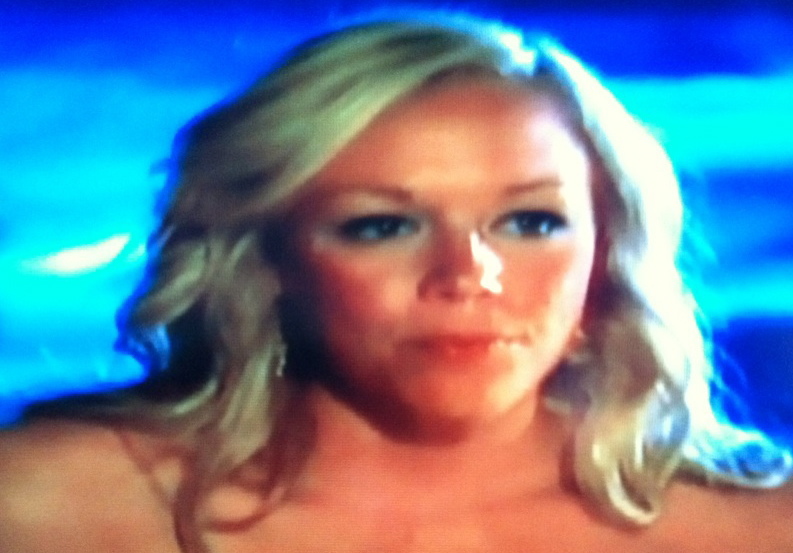 Kacie receives the rose. The date begins with a yacht. If a person leaves on a yacht they usually come back in a lifeboat. There comes a point in every season when people get one-on-one dates, who the Bachelor is not interested in. The date is awkward and Elyse thinks it's going well. It is clear Ben is going to send Elyse home. It is painful to watch her get in the little boat while her heart breaks. Ben throws the rose away in the ocean and cue the dramatic music. Back at the house the women are in shock Elyse going home. Courtney is quite pleased. Casey explains he can’t keep everyone. Then one of the most shocking moments ever occurs. Courtney sees Ben will be alone and takes her chance. Ben is entering his room and hears a whistle. Ben turns around and his face his priceless. Courtney is making good on her promise. For a few seconds, Ben questions whether this is a bad idea or not. At this point, Ben has to strongly think he might end up with Courtney. They drop their clothes and get in the water. I do not think he would have put himself in the situation if he likes someone else more. I find it interesting he didn’t feel so great about his decision the day after. This might not be a good idea. My boyfriend about died when they started talking about skinny dipping. He said, “There is no way they just started talk about that.” They could have been drinking and playing "I’ve never." Courtney may have brought it up. We didn’t really get to see Ben talk to the women at the cocktail party. Except for Emily, who continuously shoots herself in the foot. She wants to drop the situation and then brings it up again. It is awful to watch, in the history of the Bachelor, I do not recall anyone saying "tread lightly." Emily is not helping herself and will seal her fate. Then it was time for the rose ceremony. Emily gets the final rose and Jennifer goes home. She is shocked along with America. Jennifer and Ben seemed to have a connection last week, yet he chose Casey S and Rachel over her. I can’t wait for next week. What were your thoughts on this episode? Are you sad to see Jennifer go?